Three critical factors in ensuring equitable access to water and sanitation are: reducing geographical disparities, overcoming the barriers faced by vulnerable groups, and addressing affordability concerns. Equitable Access Score-card, а self-evaluation analytical tool, has been developed under the Protocol on Water and Health to help Governments to establish a baseline measure of the equity of access to water and sanitation, identify related priorities and discuss further actions to be taken. 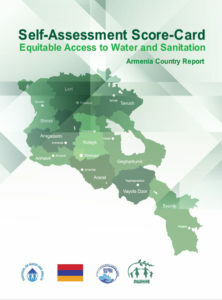 Armenia announced its intention to apply the Equitable Access Score-card at the national level during the seventh meeting of the Working Group on Water and Health in November 2014. Develop a comprehensive overview of the existing policy measures to address inequities in access to water and sanitation. The project duration was 12 months and accomplished in October 2016. 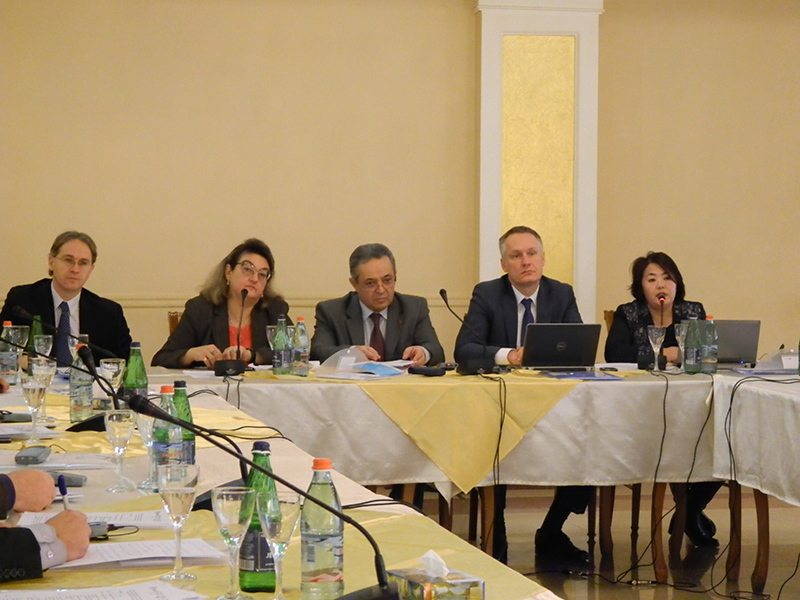 The launching workshop for ensuring the early involvement of different stakeholders and explaining the rationale, objectives, process and expected outcomes of the self-assessment exercise was organized on 15 December 2015, back to back with a consultation meeting on small scale water supply and sanitation systems and a meeting of the Steering Committee of EUWI NPD. This workshop helped to identify additional stakeholders that later were involved in the exercise. The “findings workshop” to present interim results, gather additional information, identify reform options and discuss possible recommendations was held on 7-8 July 2016. Following the first workshop, UNECE and the main national stakeholders constituted a Project Team, consisting of national consultants with expertise and experience in the main fields covered by the Protocol on Water and Health, including a representative of the NGO “Armenian Women for Health and Healthy Environment (AWHHE)”, and supported by an international consultant appointed by UNECE and a UNECE staff member. This team compiled the information needed and produced the drafts of the situation analysis and Score-card in Armenian and English which were then considered by the State Committee of Water Economy of the Ministry of Agriculture of the Republic of Armenia. 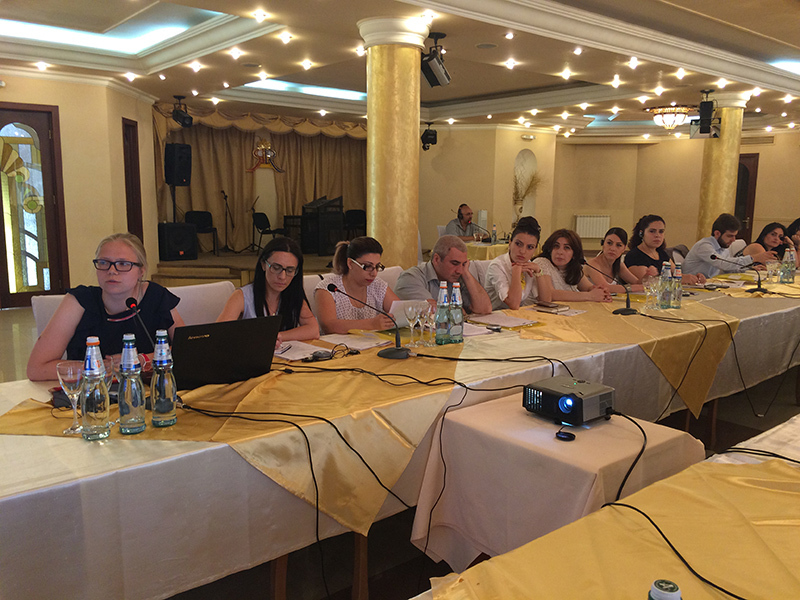 At the second workshop Armenia announced its intention to develop an action plan on ensuring access to water supply and sanitation to be approved by the government and beneficiary ministries.